Cut around stem of pepper like it's a pumpkin, and just pop those seeds out. Cut straight down the middle in bigger chunks. The curve will go to the bottom of the jar. 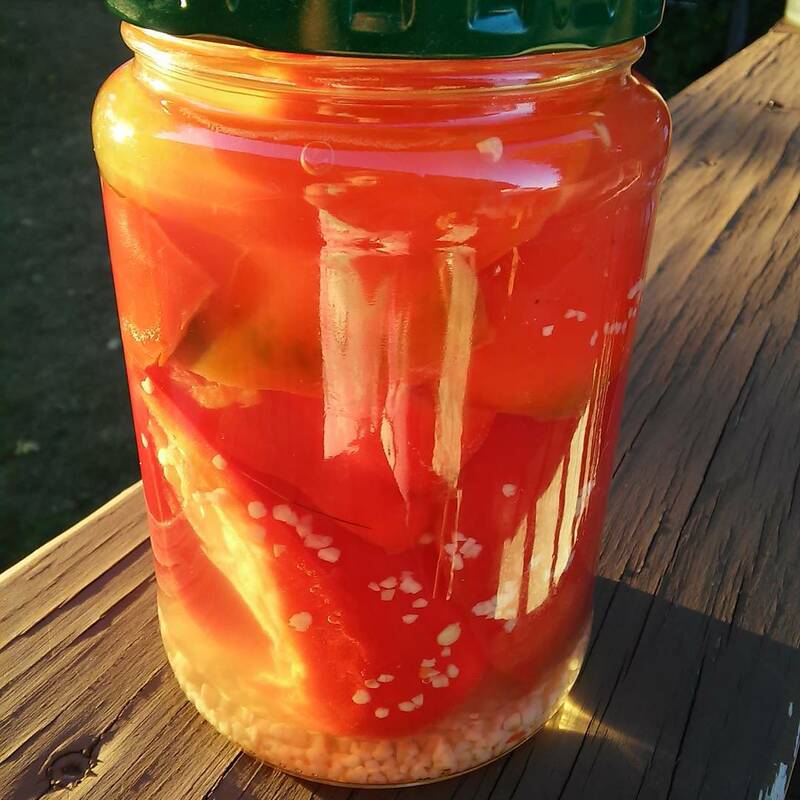 In a pickle jar from before, toss in minced garlic and salt, and then pack in your peppers. Fill jar 1/3 full of vinegar, and finish off with tap or filtered water. Your preference. Remember, if your concern is chlorine, you can leave a pitcher of water out, uncovered overnight and it will evaporate. Cap and shake it. Shake it off like you're TSwizzy. Once that garlic is better distributed, and the salt seems to have stirred in well, refrigerate overnight before serving.